The overall score aggregates grades for things like academics, diversity, the party scene, the professoriate, safety, student life, and other sub categories. Editors' pick: Originally published Nov. 7. Niche.com has released its rankings of each state's top private universities in America--some with mass name recognition, but many that you never knew existed. Niche.com calculated each school's rankings carefully, with weighted factors that account for the number of awards received by faculty or local crime rates, to give two examples, which offer the reader a holistic picture of what these top schools are really like. Other important factors like "value" are represented by average net cost after financial aid, grants and scholarship. The overall score aggregates grades for things like academics, diversity, the party scene, the professoriate, safety, student life, and other sub categories. Are you a parent researching schools? Value and safety might make a huge difference for you. Are you a prospective student eager to apply? Some of the listings very usefully include a link directly to the admissions application. Are some states missing? It's because Niche.com could not collect data for Alaska, Delaware, Hawaii, Idaho, Montana, Nevada, New Mexico, North Dakota, and Puerto Rico. 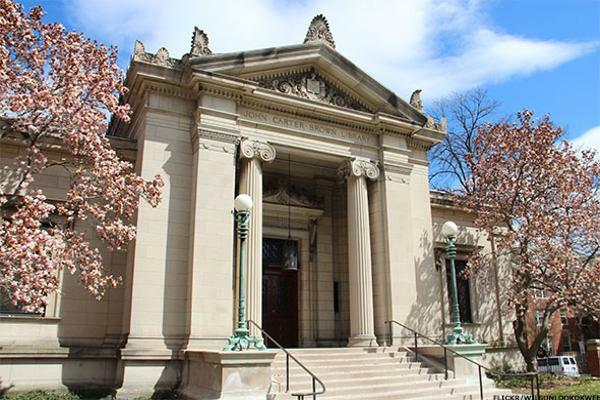 But, there are plenty of other states (and compelling schools) on the list to check out. With an overall Niche.com grade of A-, Samford comes in high for academics (A-) and value (a solid A) at $27,306 per year, and posts respectable grades for both the quality of its campus (B+) and athletics (also a B+). 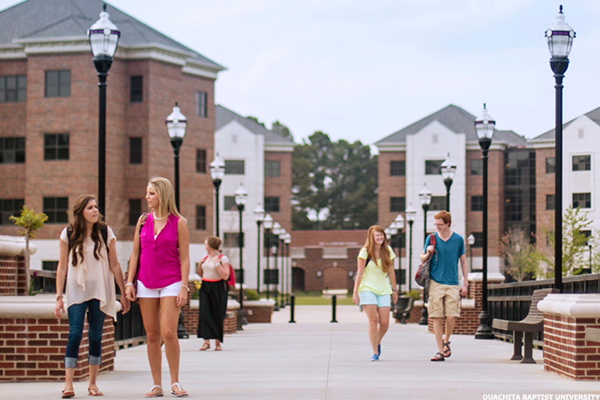 Nationwide, Samford ranks 22 out of 747 among the most conservative colleges. Two things Embry-Riddle gets right, according to Niche.com? Solid As for diversity and value (at $30,956 per year). The student-faculty ratio there is a reasonably favorable 16:1, which contributes to its B+ grade for both professors and academics. Overall, Niche.com gives it an A-, which is a high mark, indeed. Dateline: Arkadelphia, where Ouachita Baptist calls home-reportedly the 55th safest school in America. 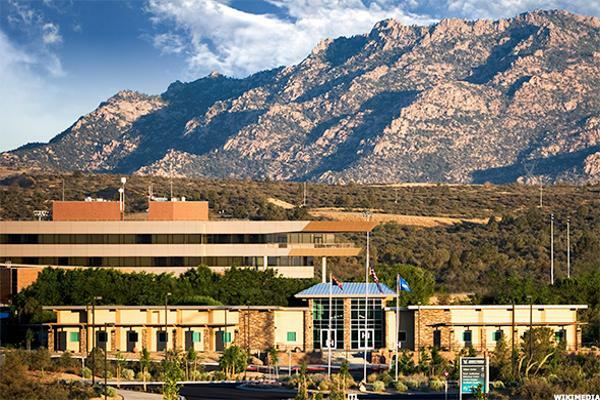 Biology, communications, and theological studies are popular majors at a school where academics and student life (A- for both), as well as dorms and the campus itself (As for both) help earn it an overall score of A-. Stanford is one big mic-drop: A+ overall score, and A+s in eight other categories including student life, professors, dorms and value (at $17,952 per year). The 10:1 student-faculty ratio is one of the best in the nation and, if all of these impressive grades weren't enough, Niche.com ranks it as the number one best college in America. 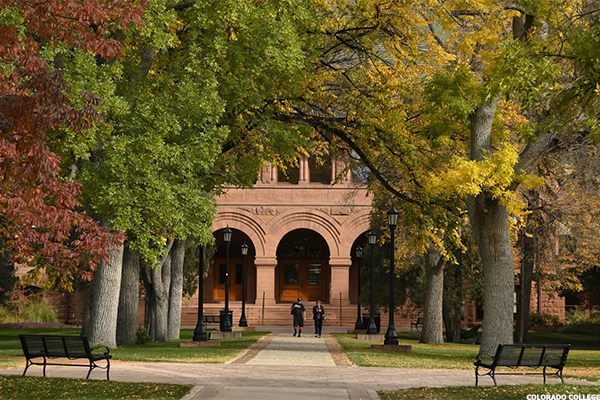 Colorado Springs, home of Colorado College, is one of the loveliest towns in America, according to a few rankings. And, if you're lucky enough to go to school there, you may recognize why Niche.com gives this school an A+ overall rating, with equally high marks for academics and-importantly-campus food. 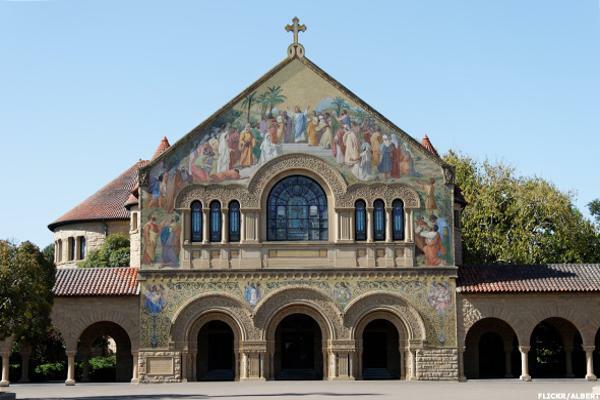 The 10:1 student-faculty ratio is also among the best, up there with places like Stanford. 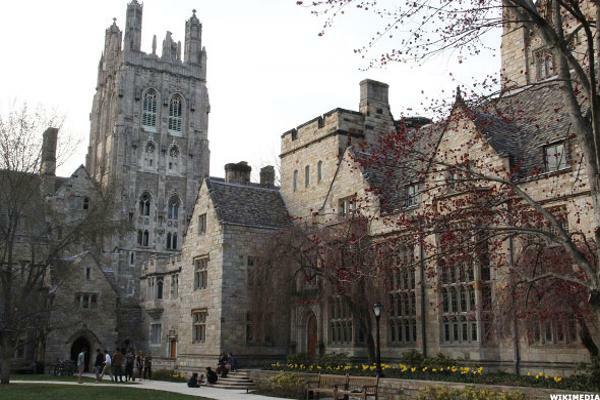 Yale is one of those schools that's become a household name, as one of America's oldest and most venerated-and for good reason. Niche.com ranks it as the third best college in America, it's individual overall grade is A+, and all of the things that make a school work (academics, the professoriate, student life, and the campus) also pull in A+s. Safety is another issue--it gets a C+ on that front, notably. 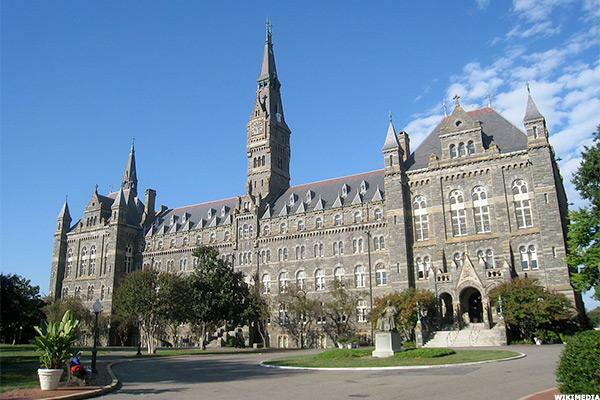 "Hoya saxa" goes the campus yell for the oldest Catholic Jesuit college in America, founded in 1789. Niche.com ranks its academics, diversity, and value at a solid A+ (and, in fact Georgetown's overall grade is also an A+). What do Georgetowners study? Political science and government, of course, as well as international relations and finance--and 43% of its students say "challenging" is the school's best descriptor. Does it surprise you that Miami's (and Florida's) preeminent school gets an A+ for its party scene? 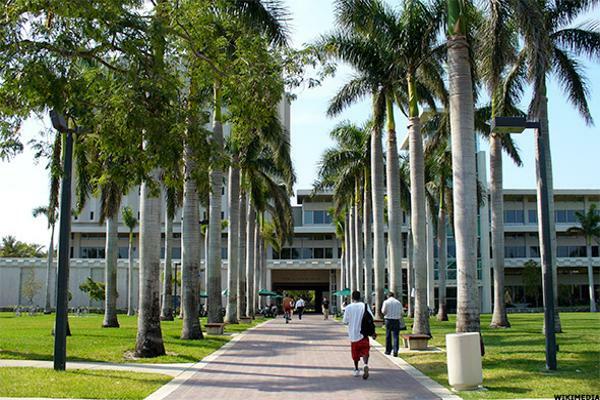 Don't let that fool you into thinking that the University of Miami is a slouch's paradise: Niche.com gives it an A+ for academics, diversity, professors, and student life. 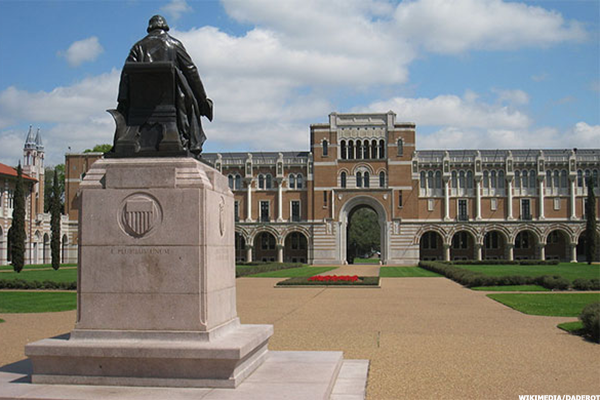 Notably, it's the tenth best college for student athletes in America (athletics also scores an A+). Hands down, Emory is the number one best Christian college in America, according to Niche.com, as well as the thirty-third best college overall. It scores an A+ for academics, diversity, and professors, not to mention a solid A grade for campus (situated in a leafy part of Atlanta) and value (a net cost of $28,203 per year after financial aid, grants, and scholarships). 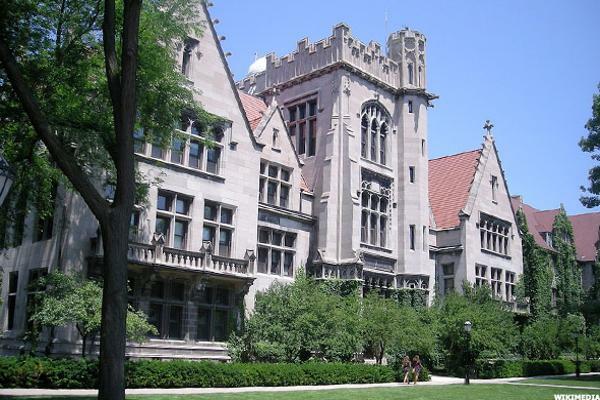 Chartered by John D. Rockefeller in 1890, the University of Chicago has been an institutional anchor for the Windy City that Niche.com ranks at 19 overall in the U.S. Academics, diversity, and UChicago's professors all get A+s, and dorms, student life and the campus, itself, score two As and an A-, respectively. With a 9% acceptance rate, it's also one of the choosiest schools in the country. 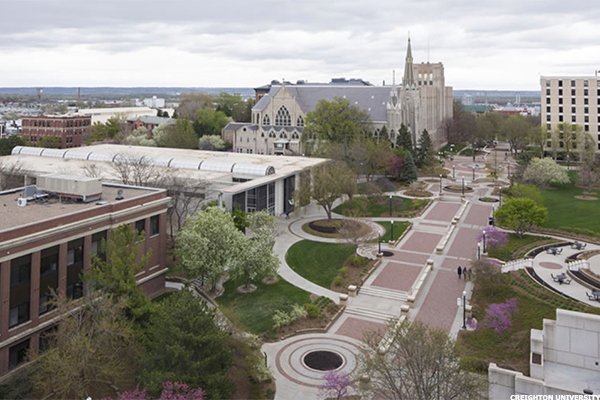 Notre Dame, the number one best Catholic college in America according to Niche.com, is also reportedly the eighteenth best in the nation, overall. Inside those impressive numbers are some equally laudable ones: A+s for both academics and value (at $27,025 per year), and of course, athletics. Who would deny that this school is synonymous with serious football? 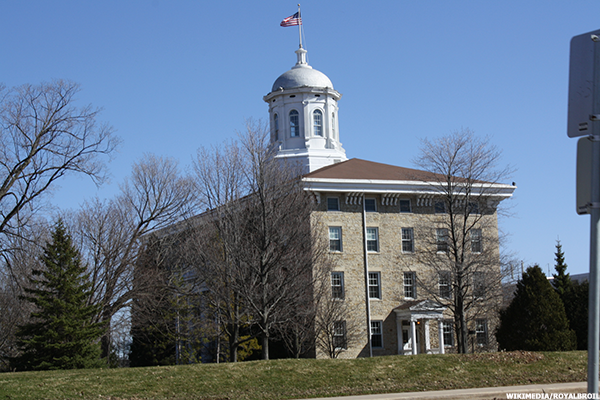 Grinnell has long been the Midwest's best kept secret, and it's been getting some great press in the past decade with solid academics (A+, according to Niche.com) and value (also an A+ at $24,896 per year). 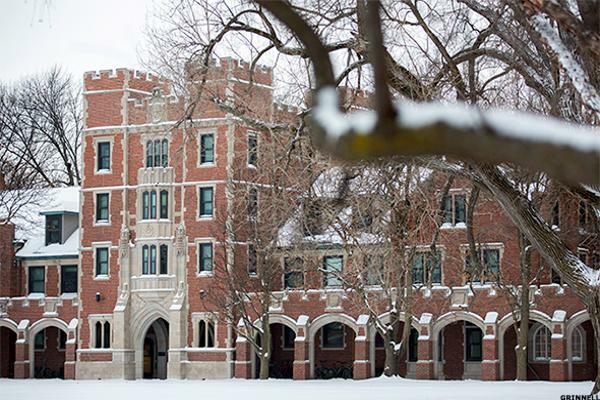 While it's location and campus safety net it C+s, there are a lot of other things to recommend Grinnell: its professoriate (A+), as well as student life and the dorms (A- for both). 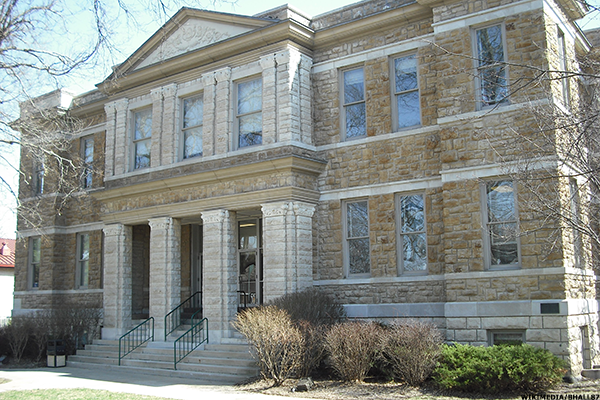 Nestled in the neat grid of Baldwin, Kan., Baker University scores an A- from Niche.com for value (at a net price of $20,525 per year after financial aid, grants, and scholarships). 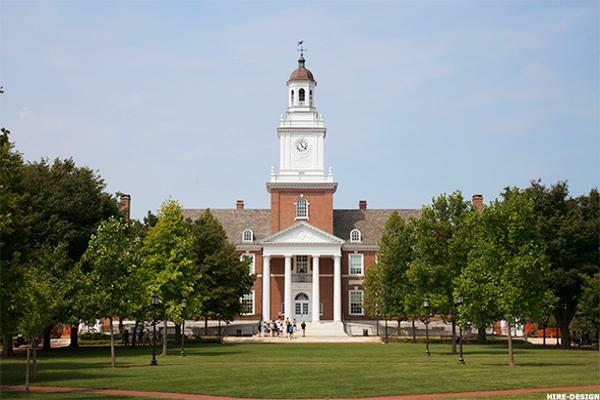 Across the board, Baker scores relatively well for academics, professors, and diversity (in the B range for all three), and campus safety, according to the experts, is a solid A. 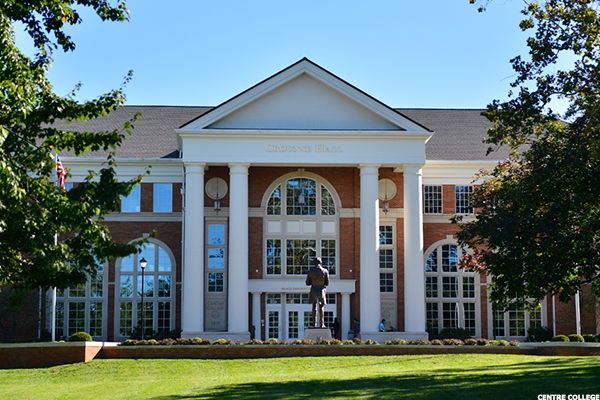 Deep in Danville, in the great Commonwealth of Kentucky, Centre College holds it down for high academics-with an overall Niche.com grade of A-. Economics, biology, and history are the most popular majors, reportedly, and its 1,386 undergrads enjoy an A grade for value with a net price of $24,855 per year. Tulane graduates are a close-knit group, all believing that they spent four years a very special place whose bond was forged through rigorous study. 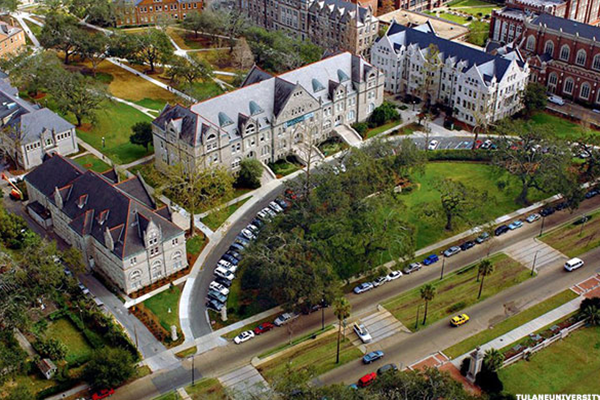 And, indeed, that's what Tulane is: Niche.com gives it an overall grade of A+. But, it's not all exam cramming and hypothesis formulating. Niche.com also ranks Tulane as the number one party school in all of America. Laissez les bon temps rouler. Don't be an out-of-towner and call it "bow-doyn." It's pronounced "bow-din," and it is the seventh best college in America, according to Niche.com. 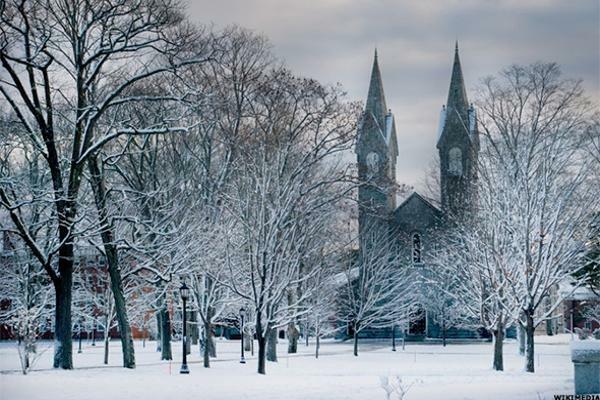 Notably, the experts also rank Bowdoin as having the best dorms in America, as well, which is especially helpful as its undergrads must brave often brutal Maine winters. 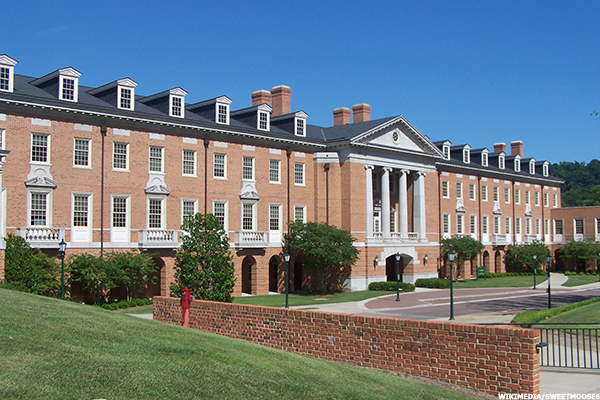 The school with the weird name is also the top private university in Maryland, which gets high grades from Niche.com in multiple categories like academics, diversity, and value. Hopkins grads are also well positioned to thrive in the new science economy--with bioengineering, public health, and nursing being the most popular majors. Indeed, its current students cite "driven" as the word that characterizes their main quality. Ha-you thought you were going to see Harvard appear, didn't you? 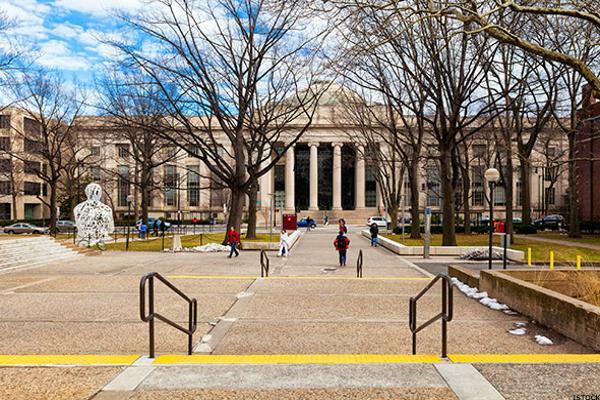 The venerable Massachusetts Institute of Technology is here to surprise you, coming in as the number two best private university in America (after Stanford), with A+ grades for academics, value, diversity, professors, and-of course-location. Emerson called Copley Square the seat of humanity and, just over the river in Cambridge, you will find some of the best brains humanity has to offer. Grand Rapids, on Michigan's western front-directly across the lake from Milwaukee-is in the middle of a cultural and economic renaissance. 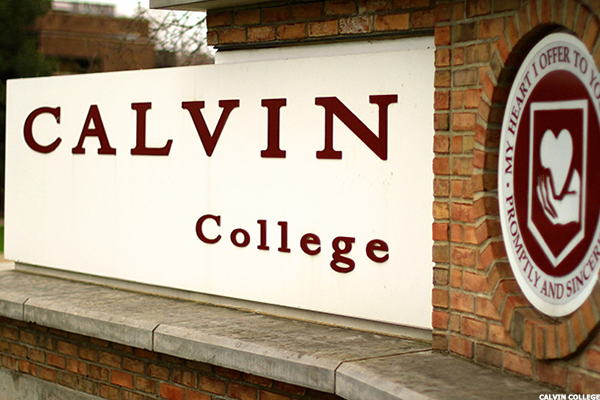 Calvin College undergrads are well positioned to take advantage of it at a highly regarded school. 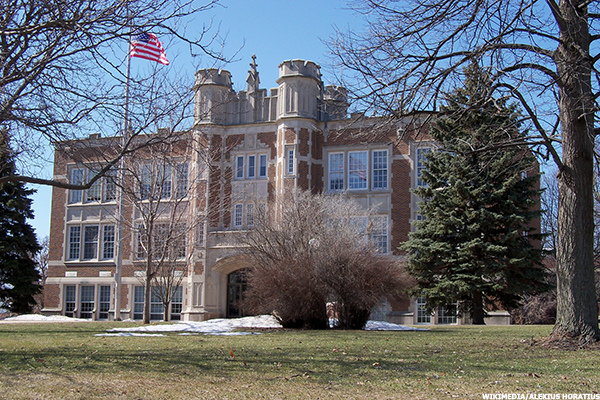 Niche.com gives Calvin high marks, with eight of the 12 grading categories situated in the A range. Niche also places it as the 16th best Christian college in America. Another best kept secret, except for the lucky folks who hold a Carleton degree: Niche.com gives this Minnesota liberal arts stronghold an overall score of A+. With a 23% acceptance rate, it's very selective. Carleton's other grades are equally impressive, with A+s for academics, the professoriate, student life, and value. 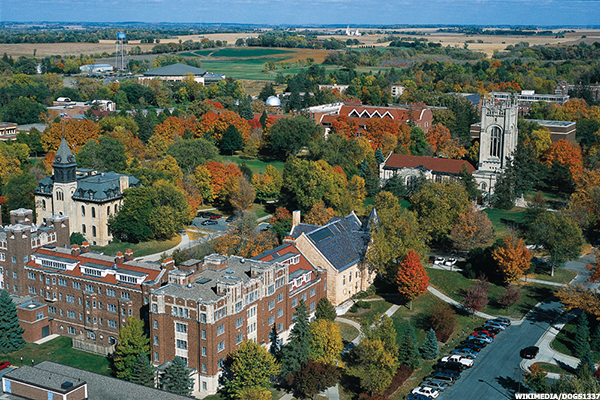 Is Carleton the Bard of the Midwest? Or, is Bard the Carleton of the East? Decide for yourself. 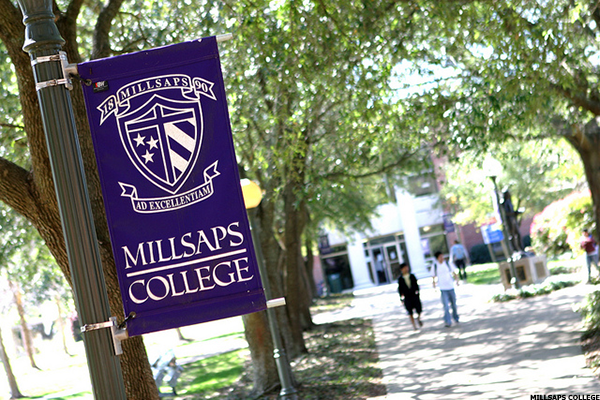 When polled, 57% of Millsaps's students claim that they are "intelligent students who get wild when it's time"--a work hard/play hard ethos borne out by an A- grade for academics and professors, and a B+ grade for student life and the party scene. It's a good value, too, according to the experts at Niche.com (with an A- grade at $21,661 per year), if you're interested in its top majors: business administration, biology, and accounting. 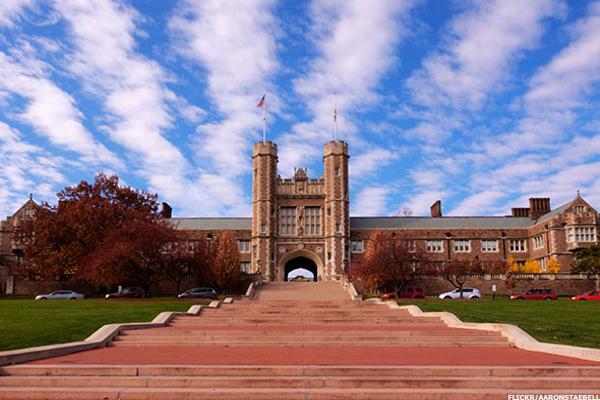 WashU, if you're in the know, is the ninth best private university in America, and Niche.com gives it an impressive overall rating of A+. Academics aside, the real draw is campus life, as it ranks first in the nation for having the best campus, second for the best dorms, and third for the best food. Situated in the crook between Omaha's major highways, Creighton struggles with a B- grade for its campus and its dorms. 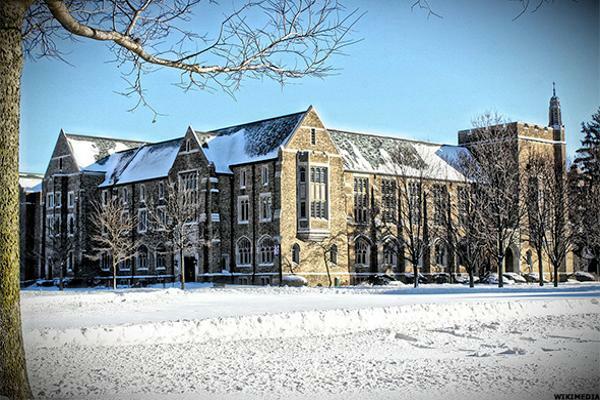 But, don't let that dissuade you from investigating the twelfth best Catholic college in America: Niche.com gives it a solid A overall grade, and A-s for academics, diversity, athletics, and its professors. A flat C grade for campus food might require students to get creative and venture into town for decent grub. 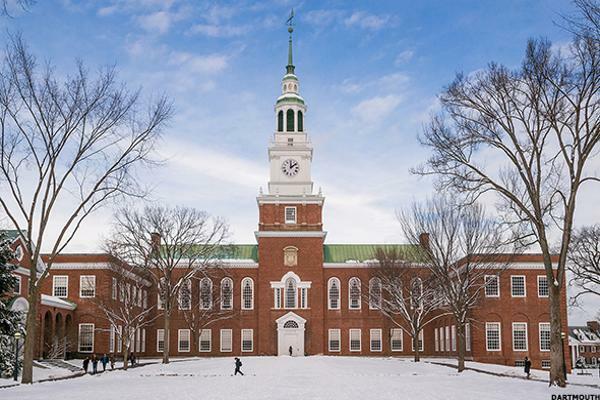 Hanover is Valhalla-situated along the sparkling Connecticut River, blessed with picturesque winters and summers, and graced by Dartmouth (where tweed is still a thing). Niche.com gives it an overall grade of A+, and has named it the thirteenth best college in America-which is unsurprising when you consider the 8:1 student-faculty ratio, among other fine qualities. 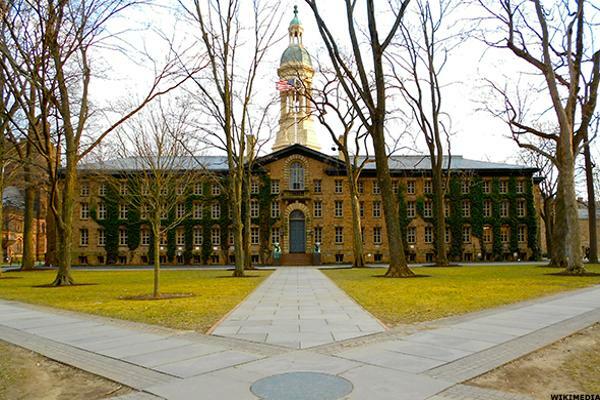 You probably won't get in to Princeton, with a 7% acceptance rate. If you do, however, you'll know why Niche.com gives it an overall A+ grade. 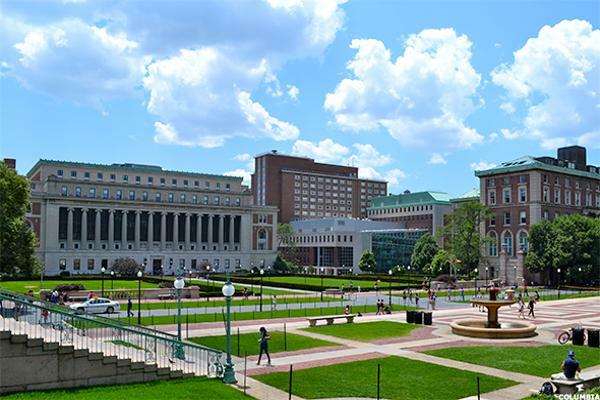 The Collegiate Gothic campus buildings, the superlative academic rigor and the unimpeachable quality of student life there all contribute to a further ranking of fifth best in America. And 80% of Princeton students -yes, 80- claim "ambitious" as the apt descriptor for who they are. Formerly King's College, Columbia (like Princeton) began with a royal charter. Also like Princeton, Columbia has a 7% acceptance rate, making it one of the most exclusive institutions in America. 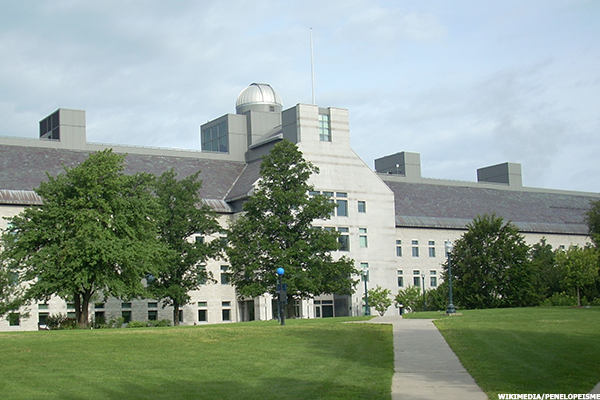 Sixty-two percent of its students claim "challenging" as the dominant vibe, supported by an A+ grade for academics and professors, according to Niche.com. The Blue Devils have a lot of loyal fans, none more rabid than Duke's alums-and, in face, Niche.com ranks it as the number one best college for student athletes in America. 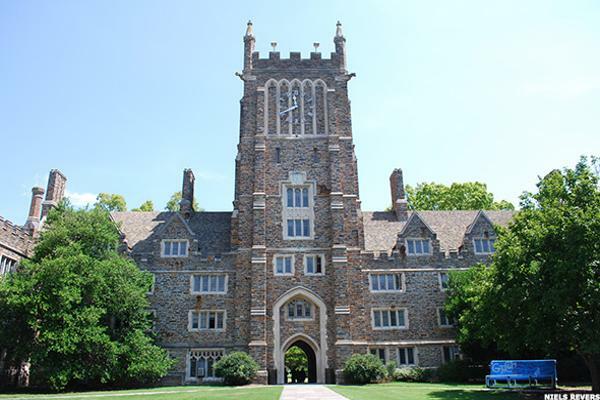 High marks all around for this Durham institution-A+s for academics, diversity, student life, value, and (of course) athletics. The top descriptors as reported by its current students? Ambitious and well-rounded-followed by a distant third, "tired." Work hard, play hard-right? 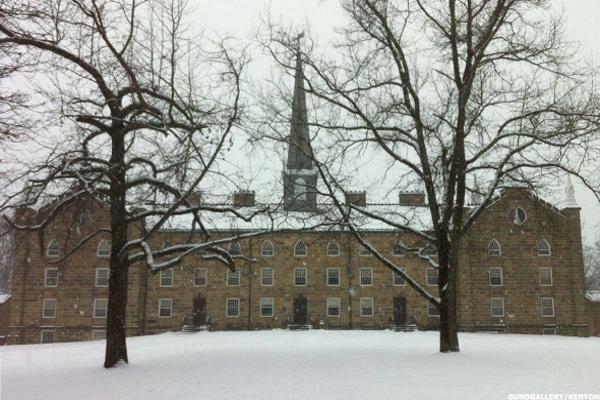 Home of the Kenyon Review, Gambier is also home to Kenyon College, which Niche.com gives an impressive overall grade of A+. Academics, value, diversity, the professors, and student life all fall in the A grade range, but the school seems to struggle with its dorms (garnering a C+) and its food (B-). Still, if English, writing, literature, or poetry is your jam, Kenyon is a good idea, as the thirteenth best in the nation. 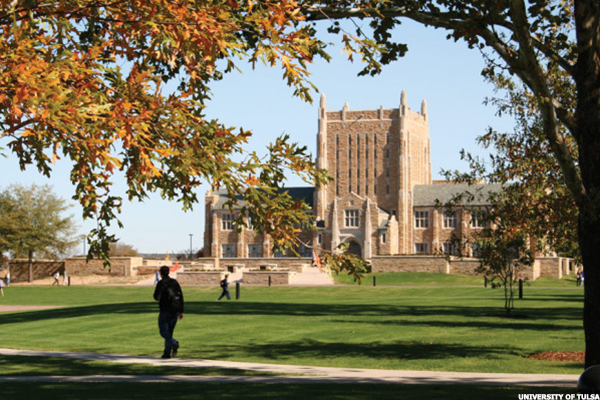 With an overall score of A+, it's hard to come closer to academic excellence in the Sooner State than the University of Tulsa. Academics garner an A+, as do professors, and diversity, athletics, student life, and value all pull in a solid A grade from Niche.com. Among its 3,478 undergraduates, petroleum engineering, finance and mechanical engineering constitute the most popular majors. 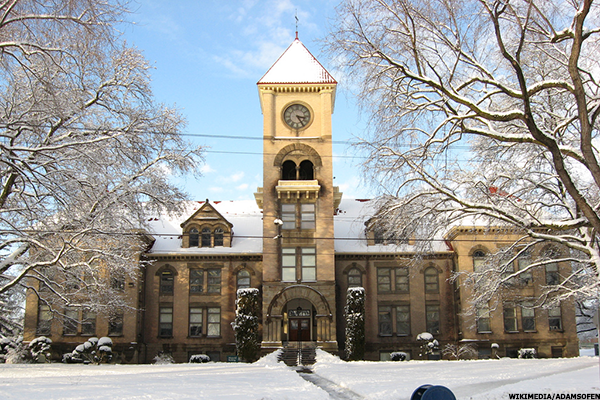 Portland's Reed College has a very healthy 9:1 student-faculty ratio, supported by the impressive grades assigned by Niche.com: A+s for academics, diversity, and professors. It's a close-knit community--one imagines a constant Socratic dialogue happening. Student life, value, and-importantly-location all pull in solid A grades. If the '90s aren't alive in Portlandia, then something else interesting is. 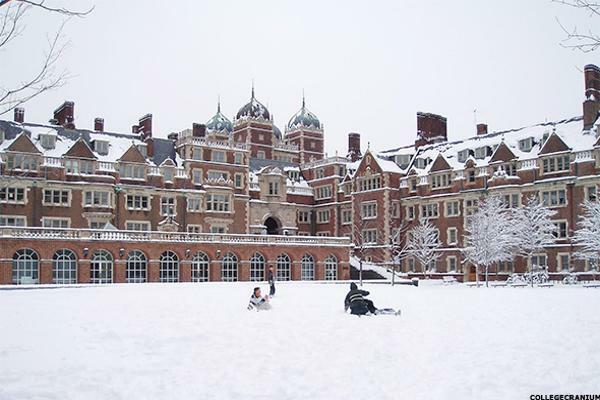 Not many students can claim that their school was founded by a polymath-and, in the case of Penn, someone named Benjamin Franklin. Appropriately, Philadelphia's Ivy pulls in superlative grades for academics and value (smart and thrifty Franklin would be pleased), as well as the quality of the professoriate, student life, and the party scene. Who cares if campus food gets a C+ grade? There's plenty to rave about at off-campus haunts. Niche.com lists Brown as possessing some of the best professors in America (#2 overall) in a place that espouses pedagogical excellence (it's the #3 best college for education in the country). The acceptance rate is a tough nine percent-and for good reason: once you're in, you have the best of almost everything-professors, student life, location, and diversity (all in the A-grade range). As if that weren't impressive enough, "passionate" is also how 46% of students self-identify. Greenville is one of the nicest places in South Carolina, and Furman is the best private university in the entire state-according to Niche.com-owing to impressive A-grades in several key areas like academics and value. It's small-2,696 undergraduates-but its Greek life creates a lively scene. The 11:1 student-faculty ratio is also a boon, which help justify the $30,607 net price tag, after scholarships, grants, or financial aid are applied. Downtown Sioux Falls, where Augustana University calls home, has seen a bit of a comeback in the last few years. Passing through its grounds, it's not hard to see why Niche.com has awarded it an A- for campus and location. Student life gets an A, as does value and academics, too. At 1,592 students, it's small-helping it maintain a laudable 10:1 student-faculty ratio. 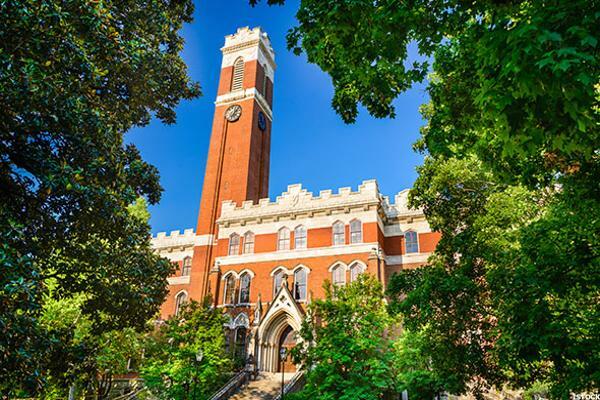 The Volunteer State's natural beauty is a boon for Vanderbilt students, whose school garnered an A+ overall rating from Niche.com. Notably, of the 12 sub-categories that Niche reports, a whopping nine are also A+s, including academics, student life, and the party scene. 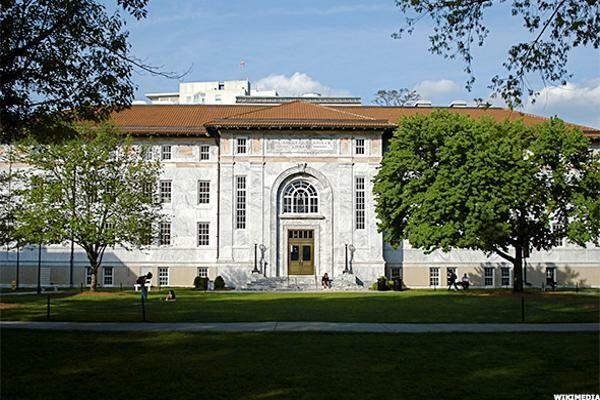 With a 13% acceptance rate, Vanderbilt is also one of the most selective in the U.S.
Rice is the sixth best college in America, according to Niche.com-garnering an A+ overall grade, and a range of A-grades in every sub-category except for safety (a woeful B-). With a 6:1 student-faculty ratio, it is also a place where undergrads are more likely-perhaps than anywhere else in the U.S.-to get the most personalized attention, whether they're studying economics or psychology (the top two most popular majors). The mighty BYU scores an A+ overall grade from Niche.com, and posts some other impressive grades for academics (A+), safety (A+), and the all-important student life (also an A+). 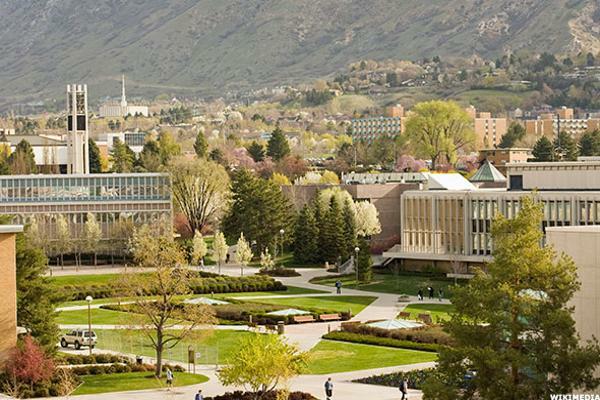 Niche also reports that BYU is the fourth best college for education in America-and the fourth most conservative college in America. Provo is also on several top lists for homeowners and new grads to settle down. Like Dartmouth, Middlebury is one of those schools surrounded by an extraordinary landscape, even if it is a little remote (earning it a C- for location). If you enjoy the contemplative life, being surrounded by brainiacs, and the liberal arts course of study, then it's the place to check out. Niche.com gives it an A+ overall grade-and A+s for academics, diversity, value, professors, and campus food. W&L is cozy, with an 8:1 student-faculty ratio. 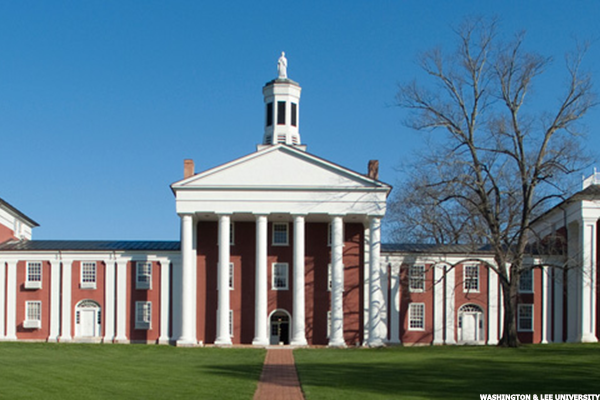 W&L is mathy, with business administration, accounting, and economics being the top majors. 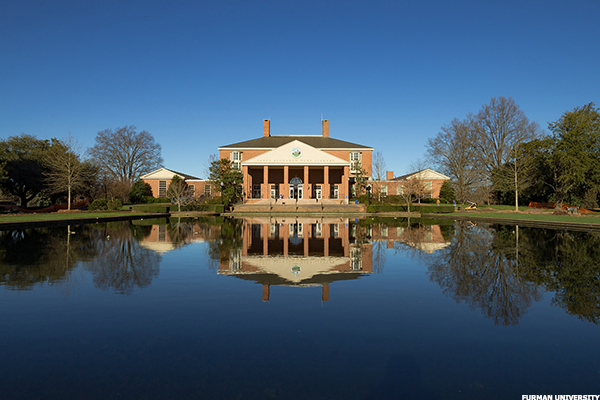 W&L is also an excellent value, garnering an A+ from Niche.com (at a net cost of $20,700 per year, after scholarships, grants, and financial aid). As you probably suspected, Niche.com also awarded it A+s in the key areas of academics and professors. Yes, there is a real place called Walla Walla, and yes, it's where Whitman is located. With an impressive 9:1 student-faculty ratio, and an A- grade for value (at $33,788 net cost per year), Walla Walla seems like a good place to spend four years. You'll likely leave with a biology, psychology, or economics degree (the top majors), and if you're like 86 percent of the students, you'll likely be employed within two years after graduation. That's three points above the national average. 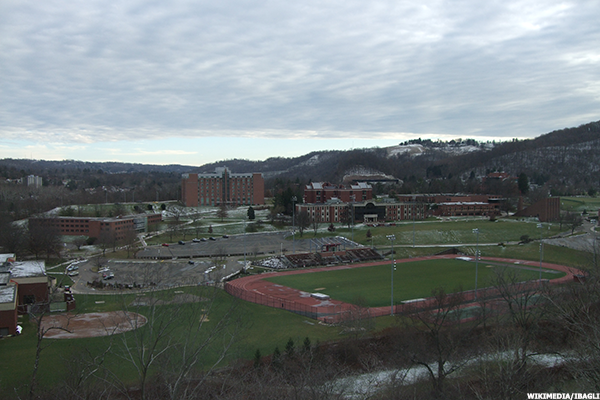 Located between the Leatherwood and Pleasant Valley neighborhoods, Wheeling Jesuit is a mainstay of its home city of Wheeling. Niche.com gives it a solid B grade overall, and recognizes the commitment of the professors (A) and the school's value (A-) as two of its draws. Dorm life is a little lacking, however, with a D grade. Student life (C+), the campus (C-), and campus food (C+) fare a little better. What's more wholesome than a town called Appleton? You might decide that nothing is, if you are admitted to Lawrence University -- where academics, the campus, the professors, student life, and campus food all earn a solid A grade. Even the party scene in wholesome Appleton is on point, with a respectable A- grade from Niche.com. It's 9:1 student-faculty ratio is also on point, helping you study music, biology, or psychology (the top majors) with a little more personalized guidance than other schools.